The Gillard Government's election promise of a reform agenda for the Not for Profit sector will be driven by the newly appointed Minister for Social Inclusion, Tanya Plibersek, through a new Office for the Non-Profit Sector. 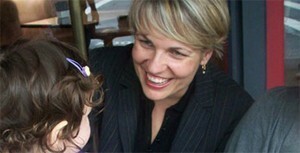 appointed Minister for Social Inclusion, Tanya Plibersek through a new Office for the Non-Profit Sector in the Department of Prime Minister and Cabinet. A spokesperson for Minister Plibersek says the Office for the Non-Profit Sector will drive and coordinate the sector reform agenda within government and will report directly to the Minister for Social Inclusion. The Government says it will establish a Non-Profit Sector Reform Council by the end of the year to advise the Government on the NFP sector reform agenda. The Reform Council will be made up of representatives from the Not for Profit sector. The spokesperson says the Council will play an important role in advising the Government on the remaining recommendations contained in the Productivity Commission's report into the NFP sector. The Gillard Government says it will also conduct a scoping study for a national 'one- stop-shop' regulator for the sector to remove the complex regulatory arrangements currently in place and streamline reporting arrangements and it will finalise the study by early 2011. The Gillard Government has also agreed to undertake a review across all Commonwealth agencies of the efficiency and effectiveness of tendering, contracting and acquittal arrangements between the Australian Government and Not for Profit organisations in 2011. The Labor Government announced before the election that it would drive a major reform agenda for Australia’s Not for Profit sector by delivering smarter regulation, reducing red tape and improving transparency and accountability of the sector. In the new Gillard line-up there are three Ministers and two Parliamentary Secretaries directly involved in different aspects of the Not for Profit Sector. As part of the campaign the Gillard Government said it would move immediately to implement a plan for a National Regulator if re-elected and promised to immediately begin consultation with the sector about the design and role of that regulator. A new Office for the Not for Profit Sector within the Department of Prime Minister and Cabinet to drive and coordinate the policy reform agenda supported by a new Not for Profit sector Reform Council made up of representatives from across the sector. Immediate commencement of a scoping study to determine the role and design options for a national ‘one-stop-shop’ regulator for the Not for Profit sector to remove the complex regulatory arrangements currently in place and streamline reporting arrangements. The scoping study will be finalised early in 2011 and will guide the reform program. Reducing red-tape for government-funded NFP organisations by developing a common form contract or ‘master agreement’ and reviewing tendering, contracting and acquittal arrangements between the Australian Government and NFP organisations to streamline and reduce compliance burden commensurate with risk. The plan also included greater harmonisation and simplification between the Australian and State and Territory governments on NFP sector issues, including regulation. The Gillard Labor Government's reform promises were made in response to the Not for Profit Sector's demand for regulatory and funding reform following the results of a national survey developed by Pro Bono Australia and the Centre for Social Impact. The survey of over 1,500 people working in the sector was conducted by Pro Bono Australia during the first week of the election campaign to gauge support for the recommendations of the 2009 Productivity Commission Report with the results being sent to the major political parties. The survey was developed in collaboration with the Centre for Social Impact and supported by several organisations, including Volunteering Australia, Philanthropy Australia and the Community Council for Australia. The initial results of the survey showed that 89% of participants agreed the Federal Government should establish a specific department to be responsible for Not for Profit sector issues and another 86% said there should be a national registrar, in the form of a one-stop-shop, for charities and community organisations. Over the last 15 years there have been five major reviews of the Not for Profit sector, but the Gillard Labor Government said during the campaign that it was the first government to commit to a reform package and ongoing sector reform process. The Government has said that funding for this reform package would be absorbed by Australian Government departments from within existing departmental resources. Careful to watch as the LP is not to be trusted when it comes to the principle of donations of capital. Their concept is that the “middle class’ is somehow avoiding paying tax rather than actually offering capital for support. Please stand back with caution and watch carefully as the party assesses the current process. Will they encourage the current early interest by our corporate and individual donors, or will their be some way of limiting the annual amount as it is seen as an avoidence strategy. One of the most significant strategies missing is that Australians, despite the income or business structure are not fully aware of the depth of how they can individually contribute, nor where the money can be directed.